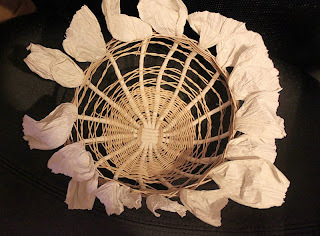 Finished the second basket tonight - I wanted it to be different from the first (got my wish) but I don't like it as well. 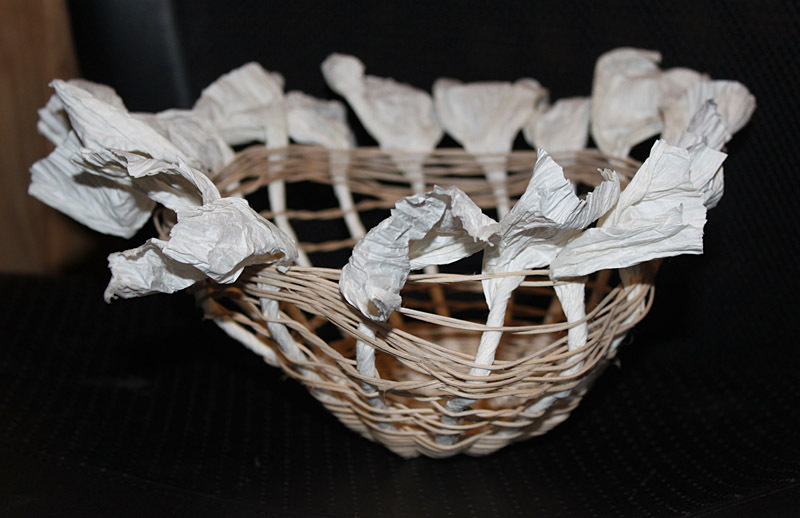 For my second-ever twined basket, it's not bad though. 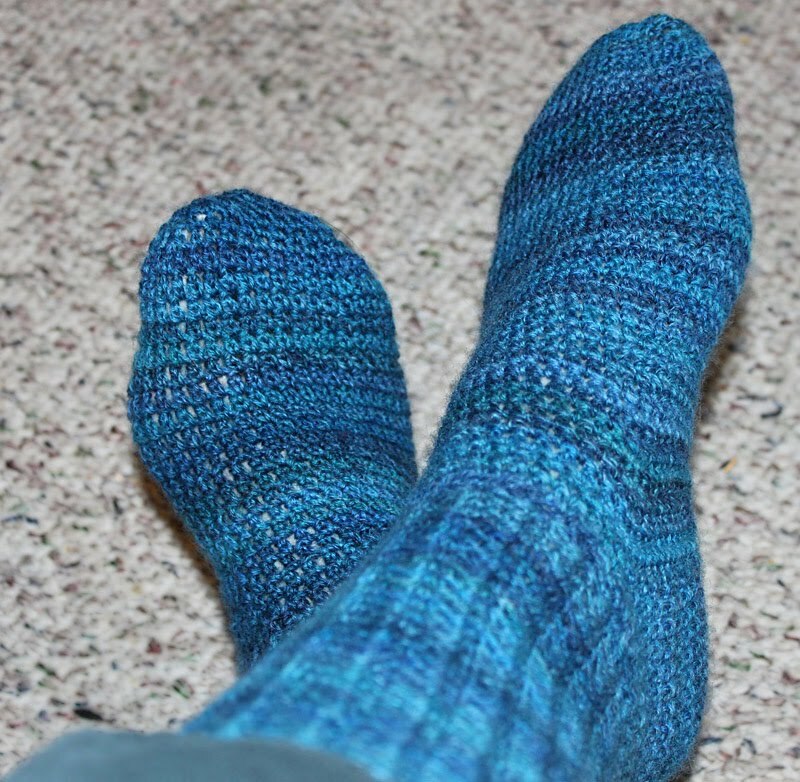 Also finished another pair of crocheted socks. 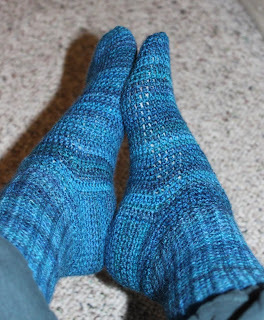 I found these partially done when I started reorganizing my stash and worked on them during the sock class I taught earlier this year. Finally got the ends woven in yesterday and photos taken today. And plan to wear them tomorrow. The socks are beautiful! and make me appreciate Target, I would hate to make socks for everyone in my family! Cute socks, what pattern are they?